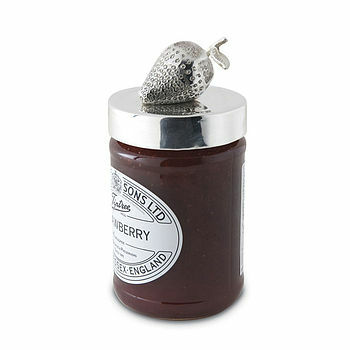 A stunning silver plated jam jar lid with a strawberry design. This makes a lovely present, and will surely make your favourite jam look great at the breakfast table or when serving up a perfect cream tea. The silver plated lid is designed to fit standard sized jars.